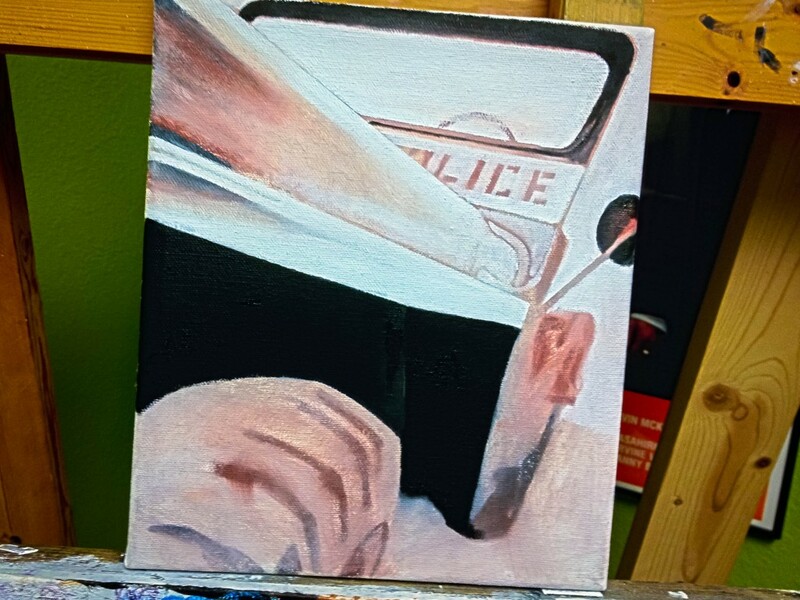 Starting another little study of a Willys Military Police Jeep. I’ve cropped out the most obvious “Jeep” feature, leaving only the secondary design elements to clue you in. I think I’ll save the grill for another painting.